Join me for the heart-warming tale of a scientist gone mad! A madman become invisible! An invisible man gone wild! 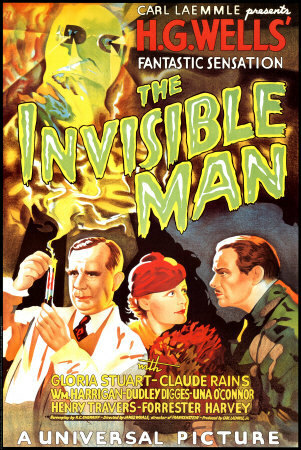 It’s Claude Rains in James Whales’ 1933 classic The Invisible Man! I don’t really care for this picture beyond Rains’ performance and Gloria Stuart’s sweet, sweet 1930s damsel act, but I try to have fun and not lament Una O’Connor or the camp humor too much. Watch as a man you can’t see minces around in nothing but a shirt! Gasp as the Invisible Man steals a bicycle! Thrill as he sleeps thru a phone call! Wonder why he doesn’t just put makeup on! Look interested while he explains how he can be detected! Try to stay awake while policemen meet to discuss what to do! 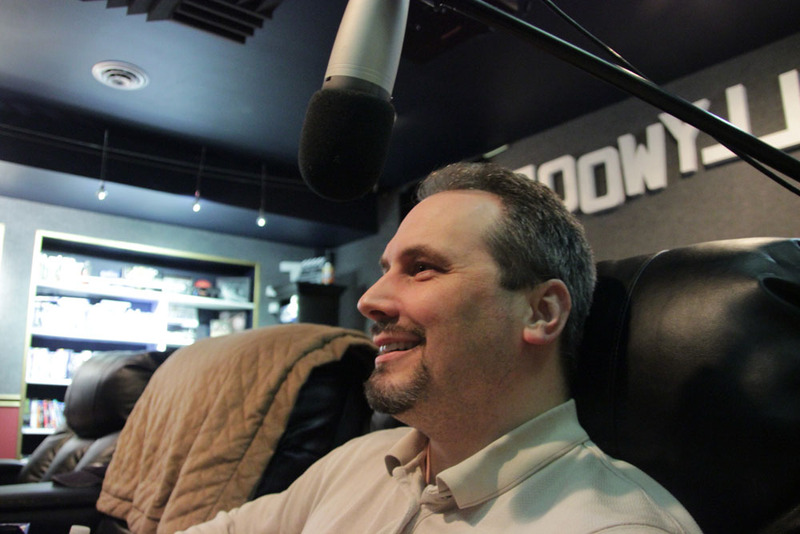 And did I mention: montage! montage! montage! It’s not as bad as all that, but you be the judge. Start the commentary with the Carl Laemmle title card, on the countdown. I actually love the dark humor and silliness of this one. Not much of a horror though.